The 2014 regulations were specifically written to create a new challenge for engine suppliers and tempt some of the names we recently saw exit stage left to return. We're seeing engine manufacturers reignite their interest in the sport after spotting attractive environmental and financial elements, adding new names to the list of potential suppliers. 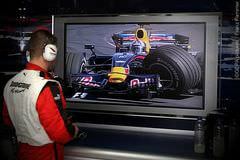 With a wealth of choice, teams are now weighing up their contracts closely, and there has been a lot of change on the grid in terms of who's supplying whom. Ever since the Chinese Grand Prix, where Mercedes got the official ruling that their Double-DRS was legal, teams have been contemplating whether they could copy it, develop their own versions, or use similar loopholes to come up with unrelated and possibly more advantageous contraptions; or whether it was even worth spending the time / money / resources attempting it. Lewis Hamilton’s Twitter-sode over the Spa weekend left us with a lot to think about. Not just his openness and insight, but also his frustration, and some less-than family-friendly language – all in an attempt at justification for his ‘poor’ qualifying. Why can't they make racing cars work in the rain? In the last couple of Sidepodcast Debrief shows, Mr C has made a point of asking why can’t engineers/regulators make cars that work in the rain when he can drive his car perfectly fine when storms are a-brewing? Whether or not Mr C was just being cheeky, this is a probably a good time to explore the mechanics of the difficulties in racing in the rain. There will be some maths and a little bit of physics, but I’ll keep it light and we’ll all get through this together, I promise! As a follow-up to ChainBear's explanation of this year's movable rear wing, the man has turned his hand to airflow, turbulence and the problem of passing a modern day F1 car. f you're anything like me, interest in this year's brand new drag reduction system (DRS) diminished sometime around the 7th or 8th regulation change. 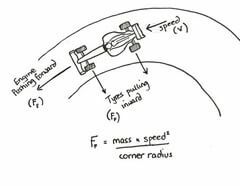 Movable wings in F1 are not a new thing, but the introduction of the 2011 adjustable rear wing has been surrounded by confusion and uncertainty from the beginning. In this video ChainBear takes you through the basics. Whilst Mr C and I have settled for discussing the launches briefly in the podcast, and scoring them out of 10, new guest writer KerbRider has taken a more detailed look at the teams we've seen so far. The Open University offers distance learning for undergraduate and postgraduate qualifications. To support courses, a number of educational resources are made available for free via Apple's iTunesU mobile learning solution. 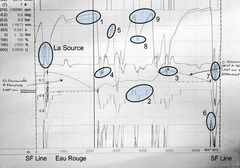 This month an engineering and technology podcast relating to Formula 1 has become available. 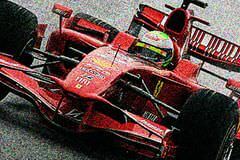 For the best part of the season we have bemoaned the look that is a 2009 spec Formula One car. Heck, we were complaining about the fugly high rear wing and lack of smooth lines from the moment the first Williams hit the test track a year ago, and things didn't improve much when the likes of BMW followed suit. We've been saying for a good proportion of the season that the new regulations aren't working. We are not alone in thinking this, and thankfully, the team's are starting to admit that things haven't gone as planned in 2009. This morning Max Mosley sent a letter to F1 teams detailing the FIA's plans for standardised parts in 2010. The communication contained lots of telling information as to what direction the sport will be taking in the future. Given that the FIA finally managed to show us some transparency in this area, it's worth digging into what was specified. Sometimes I feel sorry for the Bridgestone Corporation. 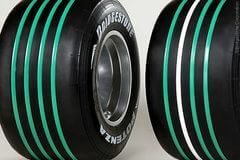 Ever since the FIA opened the tender process to be Formula 1's single tyre supplier, their marketing department have been struggling to keep the black and round things at the forefront of our minds, and in most cases they've failed. In David Coulthard's latest column for ITV, he talks about yet another missed opportunity in Germany, the comparisons between Toro Rosso and Red Bull, and the future of KERS. But my favourite piece in his column, is just a couple of small paragraphs. Of all the elements that go into a successful race campaign – driver, pit crew, engineers, aerodynamics, engines – the tyres are way up there with the most important. 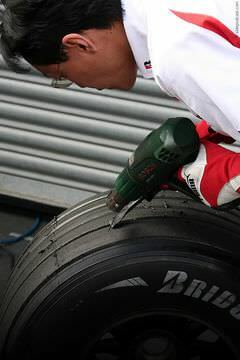 If your tyres aren’t working, you’re not going to get anywhere. Just over a week ago Christine pointed out on F1 Minute that revised safety car procedures would be tested out during the French Grand Prix weekend. Details were sketchy at the time, although she did say that it would likely involve the use of the standard ECU. Last year, a driver was only supposed to use one engine for two races. If his engine blew up and he needed a fresh one, a penalty was imposed. Personally, I found it quite hard to keep up with this. Was the driver on his first or second race with his engine? Testing in Spain has been a damp affair so far this week. On Monday, the BMW boys, in Valencia, suffered with Kubica running very few laps and Heidfeld relegated to dashing in and out of the pits. Today, things cleared up slightly in Valencia, but Barcelona got the full force of the weather. The veritable lack of Formula 1 action at the moment has allowed me to catch up with a bunch of magazines that have been lying around unread. Today I've been working my way through last months issue of Race Engine Technology. Don't laugh. Remember back in September, when the FIA mistakenly distributed the McLaren hearing transcripts without properly removing any of the confidential information beforehand? Whilst I was busily writing a post discussing Ron Dennis' inability to accept a lack of media control, Clive had an alternative idea. He suggested: "Let's be part of the answer to the Internet's bad reputation, not just another proof that it's well deserved".